This piece was originally published in the Haas Institute spring 2018 news magazine. 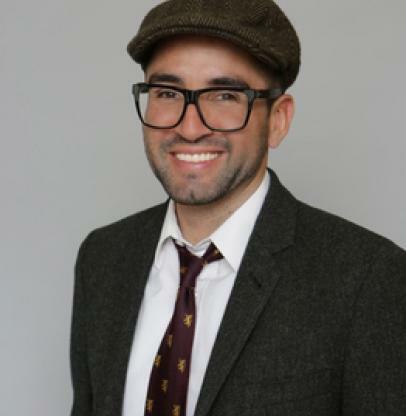 Chris Zepeda-Millan is an Assistant Professor of Comparative Ethnic Studies and Chicano/Latino Studies at UC Berkeley and is a member of the Haas Institute’s Diversity and Democracy research cluster. His scholarship focuses on issues related to social movements, immigration, public opinion, racial politics, and interdisciplinary research methods. His first book, Latino Mass Mobilization: Immigration, Racialization, and Activism was published by Cambridge University Press. You wrote a book that examined the causes and effects of the 2006 immigrant rights protests, one of the largest demonstrations in US history. What has changed in the decade since? In many respects, everything and nothing has changed. Nothing has changed in the sense that we still don't have comprehensive immigration reform and Republicans today are in control of every branch of the federal government, just as they were back in 2006. At the same time, things have changed for the worse in that we’ve gone from having a Republican president in George W. Bush who was willing to support legalization for undocumented immigrants, to the most anti-Latino and immigrant president—Trump—who wants to terrorize, cage up, and deport both people without papers and legal permanent residents. On the positive side, things haven’t changed in that we still know we have the capacity to mass mobilize people. What has changed, however, is that Trump’s victory made more evident than ever that our street protests have to be accompanied by electoral mobilization such as naturalization, voter registration, and get out the vote drives, in order for activism to be impactful. We’re on our way to doing this but, in many respects, our ability to put this strategy into action depends on a lot of funding and on the slow but steady demographic changes that are occurring, especially in key swing states like Florida and Arizona. Is President Trump’s administration uniquely dangerous to immigrants? If so, how? As bad as it was under Obama—and it was extremely horrible in terms of deportations—we did make some important gains through political activism. A lot of what we couldn’t achieve had to do with Republicans’ control of Congress during most of his presidency. Today, things have gotten substantially worse because this president doesn’t need the Latino vote and, in fact, his base is demanding that he specifically target Latinos, which has led to immigrants being attacked legislatively, culturally, and physically. Unlike Obama, Trump is making lifetime judicial appointments that will undermine immigrant rights for decades. So yes, Trump is definitely uniquely more dangerous compared to the previous president. Today, things have gotten substantially worse because this president doesn’t need the Latino vote and, in fact, his base is demanding that he specifically target Latinos, which has led to immigrants being attacked legislatively, culturally, and physically. What are some trends in the ways local cities are resisting or responding to the current federal immigration policies? How can pro-immigrant groups and people react and resist? In an interesting way, the hostile nature of the national political contexts has opened up space for positive policy change at the local level in progressive states like California. If we push our elected officials right now, we have both the capacity and the will (given the anti-Trump sentiment in the state) to not only pass laws that make it harder for the federal government to implement Trump’s draconian nativist agenda, but also expand immigrant rights. We’ve already done this through things like policy around driver’s licenses, but we could do more like, for example, expanding our local democracy by allowing non-citizens that live in and contribute to our communities to vote. How does your scholarship intersect with that of the Haas Institute’s work related to inclusion and belonging?